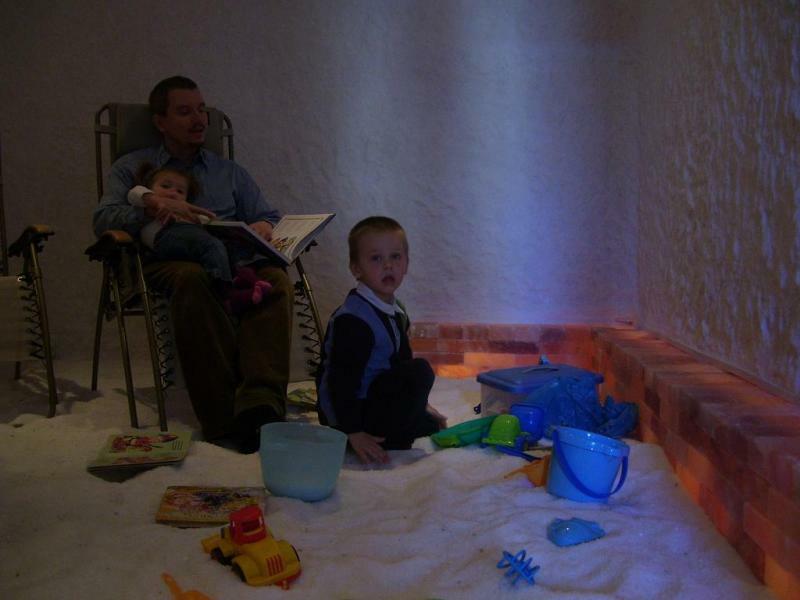 Modern Halotherapy, or salt therapy, centers have been improving the quality of people's lives since the early 1990s, mostly in Europe and Asia. The trend has been spreading rapidly throughout the world as people have turned to the power of nature to enhance their health. Often ranking at or near the top for respiratory illnesses, St. Louis has long been overdue for this form of therapy. St. Louis now has a modern salt room, where the body and mind can be treated naturally. Please arrive at least 10 minutes before your session. Late arrivals may not be permitted entrance to the salt room. Please leave valuables at home. Only small items, such as purses, may be taken into the salt room. Any larger items (coats, large bags, etc.) must be secured with front desk. No food or drinks, including water, are allowed in the salt room. Please wash hands thoroughly before entering the salt room. Plan to remain in the salt room for your entire session. Leaving can interfere with the treatment of others in the room. Please maintain verbal silence during adult sessions. Please respect the salt room’s extremely delicate nature. We suggest that phones or electronic devices not be used in the salt room, (salt can be harmful to such devices, so use at your own risk). If others are present, devices should not make any noise. Casual, loose-fitting clothing is most appropriate. Please refrain from use of perfumes, lotions or other substances that could cause allergic reactions for others. Please do not ever throw salt or touch the salt room’s walls. Children 12 and under must be accompanied by an adult guardian. Please do not consume alcoholic beverages prior to your session. Save with Private sessions (six people) $120 - that's $20 per person when six people participate. Those attending sessions 3 or more times a week.